The synthesizer that shaped music production and defined the music we listen to. Last month (December 2017) we did a Facebook Live event about the iconic Moog synthesizer. 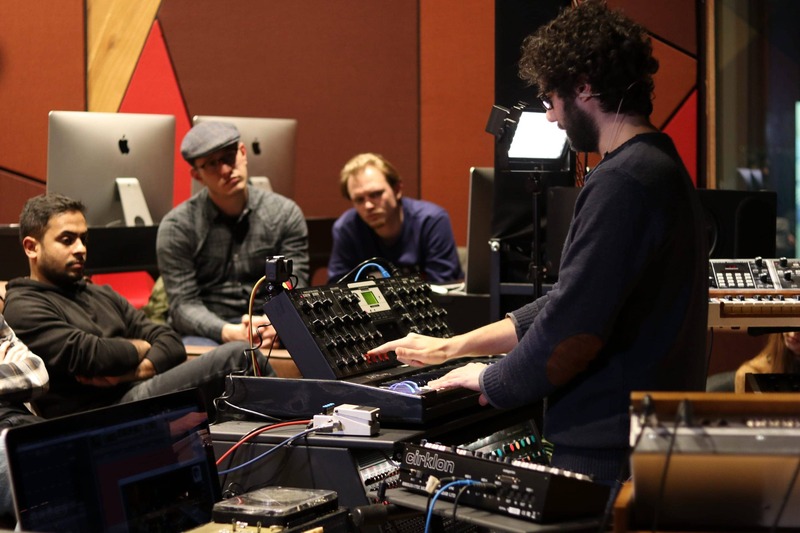 Abbey Road Institute lecturer and mastering-engineer/producer Marcoantonio Spaventi gave an inspiring online lecture about the Minimoog and various other Moog models. In this episode he talked about a bit of history, the technology, the different sound structures and control features, and of course he played on the iconic synthesizers to give the viewers an idea why they are so special. All in his own warm and charismatic way of presenting. Just like a Moog Voyager. But don’t worry if you missed it. We got your back! You can find the updated (improved sound) videos below, offered to you in two separate episodes of approximately 45 minutes each. So what can you expect in this 2 part video? Yes… he brought a Minimoog (model D), Micromoog, Memorymoog and Voyager! Including a live jam session with a hardware sequencer. We are very happy with the results and the positive responses we’ve received so-far, and hope they will inspire you to experiment with your own synthesizers and/or Moog. Special thanks to everyone who helped and contributed to make this happen! Part 2: After exploring the Minimoog a bit further, Spaventi will talk about the Micromoog, Memorymoog and Voyager. And most important of all; more jammin’!